With the recent death of Steve Jobs, I decided to learn more about his life and his many contributions to the world of personal computers. During my searches, I found a very inspiring speech he gave in a graduation ceremony at Stanford University. 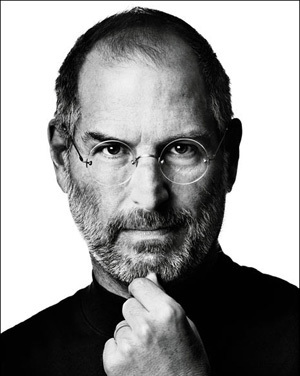 The death of Steve Jobs was certainly a great loss for the world. By studying his biography we learn that he was an example of vision, perseverance, creativity and innovation. I feel sad about his death, and greatly inspired by his work.